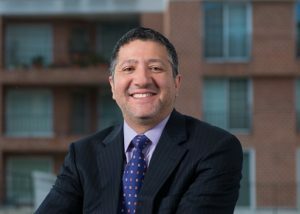 Carlos Pabon-Agudelo is a regulatory economist providing policy analysis, advice, and litigation support to energy and other infrastructure-related clients in Latin America and around the world. He has special expertise in utility regulation, market restructuring, structure and implementation of commercial and financing strategies, and assessment of liability and damages in litigation and international disputes. For over 20 years, Mr. Pabon has worked with governments, state-owned utilities, and corporations in Latin America, South Asia, Africa, Europe, and the US. Mr. Pabon has helped clients succeed in numerous liability and damages cases in a variety of international arbitrations in infrastructure industries and in cases involving economic utility decision-making, breach of confidentiality, contracting, market interaction, and contract disputes for governments and private investors. As an expert in electricity industry regulation, he has worked for private companies, regulatory agencies, and system operators on a range of issues, including advising on tariff policies at the distribution and transmission levels, and assessing strategic alternatives for utilities and Independent Power Producers. In addition to his decades of international economic consulting experience, Mr. Pabon has served as an advisor to the Colombian Minister of Finance on regulatory issues, represented the Ministry before the Energy Regulatory Commission, and worked in the Colombian coal industry. He is proficient in English, Spanish, Portuguese, and French.